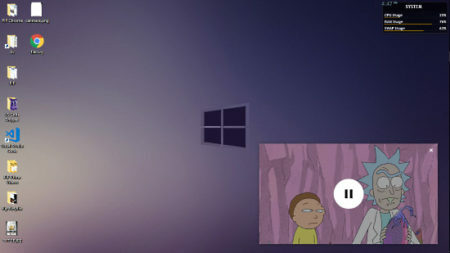 Picture-in-Picture mode lets users watch a video in a mini window which they can resize and drag anywhere on the screen. This mode allows them to do other tasks while watching a video. Well, work and entertainment hardly go side by side but it can be handy in many cases like when the work doesn’t require full attention and you can do other things (watch a video) simultaneously. Picture-in-Picture mode on Netflix could be really handy. After all, Netflix is one of the most popular online video streaming platform and recently became a member of MPAA (Motion Picture Association of America) as well. If you watch Netflix in Google Chrome web browser, then you can easily get the Picture-in-Picture mode on Netflix. 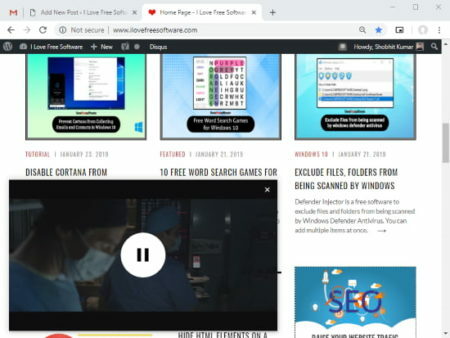 In this article, I will cover 5 free extensions which offer picture-in-picture mode on Netflix in the Google Chrome web browser. You can install these extensions from Chrome Web Store and use them to get the PiP mode on Netflix. All these extension work similarly; they use Chrome’s native PiP mode to popup the currently playing video in a floating window. So, let’s check them out one by one. The first extension on this list is offered by Google itself. It is a product of GoogleChromeLabs and you can get it from the Chrome Web Store. This extension enables picture-in-picture mode on all websites which use HTML5 player for the videos. It works perfectly on Netflix as well. You can simply play a video on Netflix and open it in a floating window by tapping this extension from the Chrome menubar. This extension also has a keyboard shortcut to enable the PiP mode. Instead of tapping the extension, you can press Alt + P (⌥ + P on macOS) to open the video in PiP mode. You can get this extension from here. The next Chrome extension that lets you use the picture-in-picture mode on Netflix is Picture-in-Picture. This extension is also available for free in the Chrome Web Store. When you add it to your browser, it sits in the menubar of Chrome. From there, you can click it while playing a Netflix video to open that in a mini draggable window. The mini window has a play/pause control. To access the rest of the control, you have to go back to the original Netflix tab on your browser. Add Picture-in-Picture mode for Netflix from here. 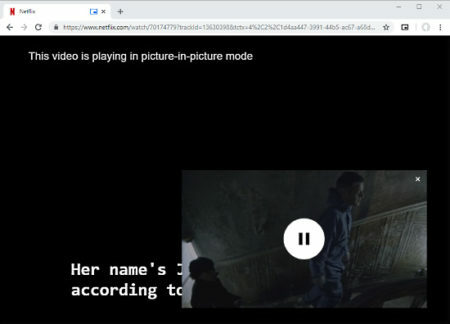 PiPPY is another free extension for Google Chrome that enables the picture-in-picture mode on Netflix, Amazon Prime Video, Hulu, YouTube, and other video streaming platforms that use HTML5 player. You can add this extension to your browser from Chrome Web Store and use it to watch the Netflix videos in a floating screen that can be resized and placed anywhere on the screen. Get PiPPY for Chrome here. Picture in Picture for YouTube & other is another similar extension that lets you use the picture-in-picture mode on YouTube, Netflix, and other websites. It is also available in the Chrome Web Store for free. When you click this extension, it opens the currently playing video from the active tab in a floating window. 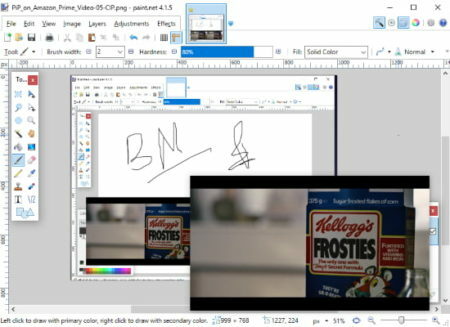 You can place that window anywhere on your screen and resize it to any desired size. Give it a try. Add this extension to Google Chrome from here. 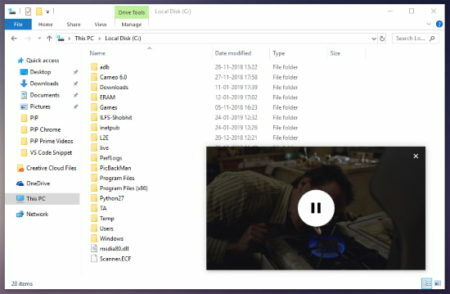 CIP – Picture In Picture Player is also a free Chrome extension to get picture-in-picture mode on Netflix, YouTube, Twitch, and more. It works the same as other extensions on this list. You can add it to Chrome from the extension store and use it to watch the Netflix videos in a compact resizable window. FYI, the mini window is not compatible with “Chose Your Own Adventure” type of content. It doesn’t show you choices in “Black Mirror: Bandersnatch“. You can watch the video though but to make a choice, you have to go back to the original Netflix tab. Get CIP extension to watch Netflix in PiP mode here. 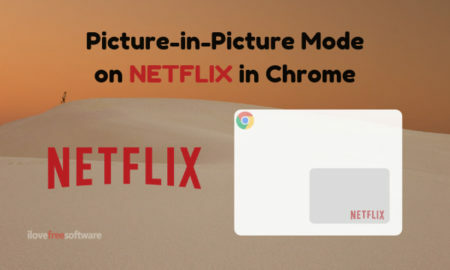 These are the 5 free Chrome extensions to get the picture-in-picture mode on Netflix. All these extensions use the Chrome’s native picture-in-picture flag to enable PiP mode. If none of these extensions works for you I recommend you to update the Google Chrome web browser to a latest version.